Hyde Park, NY – Richard Coraine, chief of staff at Union Square Hospitality Group (USHG), delivered the commencement address at the New York campus of The Culinary Institute of America on November 9. Mr. Coraine serves as liaison between CEO Danny Meyer, the leadership team, and USHG’s family of restaurants. The 1980 CIA graduate joined USHG as a partner more than 20 years ago, holding several leadership positions during that time, including chief operations officer and chief development officer. Before enrolling at the CIA, Mr. Coraine graduated from the Whittemore School of Business and Economics at the University of New Hampshire. 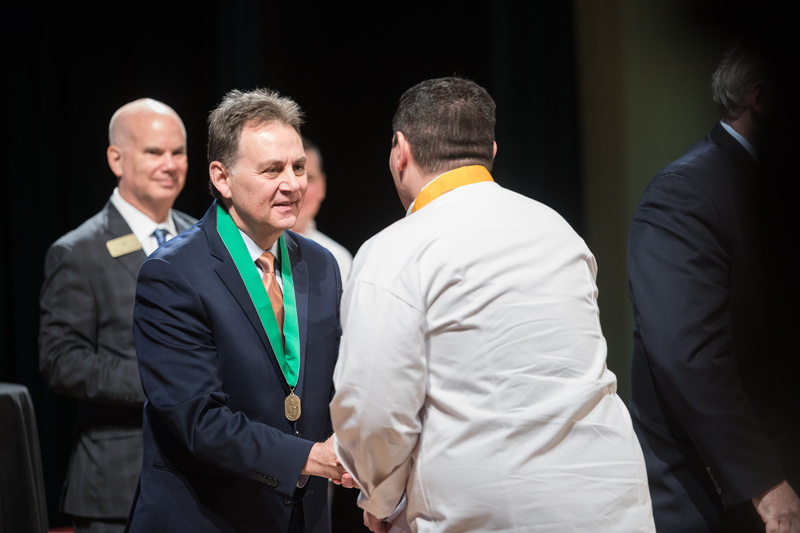 The entire CIA commencement ceremony, including Richard Coraine’s address to recipients of associate degrees in Culinary Arts and Baking & Pastry Arts, can be seen online.